Royal Ascot 2016 gets under way on Tuesday with a six-race card featuring three Group 1 races. The meeting opens at 2.30 with the £600,000 Queen Anne Stakes over a mile. American raider Tepin has made the long trip over for Mark Casse and tops the official ratings. She was a brilliant winner of the Breeders’ Cup Mile and is unbeaten in her last six starts. The main danger looks to be His Highness The Aga Khan’s Ervedya, winner of the Coronation Stakes here 12 months’ ago. She was beaten on her seasonal debut but was not given a hard time once her chance had gone and plenty of improvement is anticipated. The Group 2 Coventry Stakes at 3.05 has attracted a large field of nineteen two-year-olds over six furlongs. Aidan O’Brien’s unbeaten Caravaggio in the warm favourite but he faces some very promising rivals. Yalta has been impressive in his two starts to date for Mark Johnston while Wesley Ward saddles Silvertoni. He does not bring his horses over from American unless he feels they have a serious chance of success. The value bet could be Simon Crisford’s Mokarris, an impressive winner at Haydock on his debut in similar conditions. The Group 1 King’s Stand Stakes at 3.40 can go to Mecca’s Angel. She probably just needed the run when beaten a neck by Profitable at Haydock last time. The grey was a brilliant winner of the Nunthorpe Stakes last season and will be difficult to beat if she is in that sort of form at Royal Ascot. Profitable has done nothing wrong this season but the each-way bet in the race could be Pearl Secret. He was only beaten a length in this race a year ago and ran on strongly behind Profitable on his most recent start. The final Group 1 action on the first day of Royal Ascot is the St James’s Palace Stakes at 4.20. Three Classic winners clash here with the winners of the English, Irish and French 2000 Guineas in action. Preference is for The Gurkha, a very easy winner in France and rated his best ride of the week by Ryan Moore. The Ascot Stakes at 5.00 usually goes to a horse with National Hunt form and Silver Concorde certainly fits into that category. 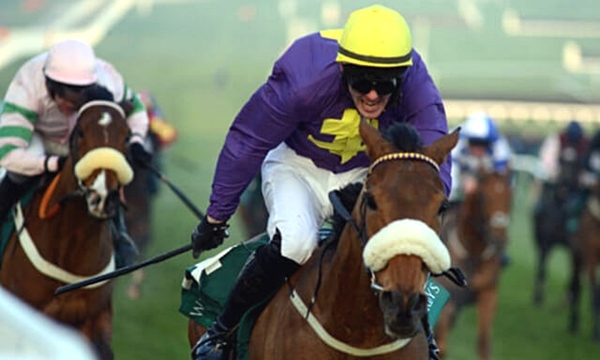 He won the Cheltenham Champion Bumper in 2014 and has since gone on to prove himself a useful stayer on the flat. He finished strongly from well off the pace in the Chester Cup in May and can reverse the form with No Heretic. The danger could be Charlie Appleby’s Galizzi who is up just 3lbs for a comfortable win at Goodwood which followed a lengthy absence. The final race of the day is the Windsor Castle Stakes for two-year-olds at 5.35. Wesley Ward’s Big City Dreamin will be a popular choice with Frankie Dettori in the saddle while Fayez looks over-priced after winning on his debut for David O’Meara.